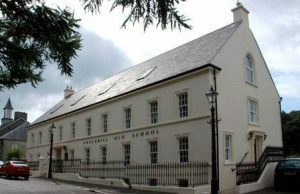 Gracehill was Northern Ireland’s first conservation area designated in 1975 and has since remained one of the most beautiful and intact Moravian settlements in Ireland. The former old school built in 1765 is one of the largest historic buildings in the village and was saved from dereliction by a local building preservation trust – Gracehill Old School Trust (GhOST) who acquired the building under the new NIEA NGO Acquisition Fund. The reuse scheme was completed in the summer of 2008 and involved the internal remodelling and reversal of inappropriate interventions. 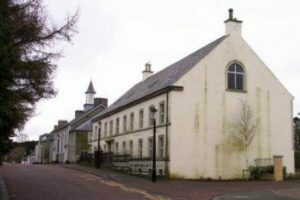 The building now accommodates a visitor centre, cafe and community centre as well as an historical exhibition detailing the history of the village. 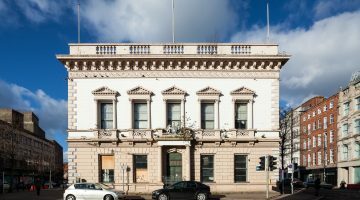 Fundraising for the project took over 10 years of voluntary effort by the Trust and was eventually assisted by: Heritage Lottery Fund; NIEA NGO Acquisition Fund; NIEA Listed Building Grant Aid; Ulster Garden Villages (UGV); Ballymena Borough Council; the Architectural Heritage Fund and the general public.